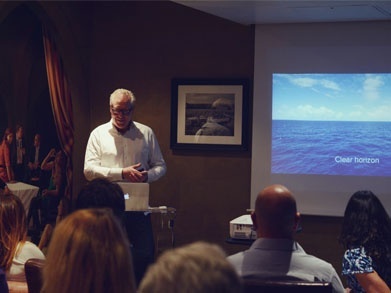 That evening's discussion moved from terrain to sea quite naturally, for me, with our first speaker, Atlantic rower Ian William Rowe, and his tale of ocean adventure. We all like to feel prepared in life, but Ian consoled us about all of the times you just can’t be - times of abrupt, unthinkable change. Ian had a remarkable story to share; his journey involved a staggering attempt to row 3,000 miles, unsupported, across the Atlantic Ocean. The crew left the dock fully equipped, mentally composed and physically prepared for the weeks ahead. 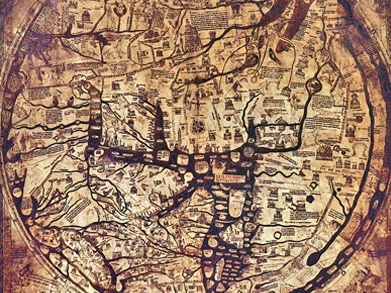 Their course had been plotted in detail from the onset. Their strategy was clear. They were determined to be the first boat in history to complete the quest in less than 30 days. The trouble is, real setbacks are not always predictable, particularly at sea. Though the team had planned extensively, there were "unforeseen challenges" (I won’t spoil the story for you), and in these tumultuous times, the crew was forced to pull together, re-strategise and move on. Ian proved that the ability to adapt to change is crucial, and sometimes life-saving. It was uplifting to hear of an experience that taught so much about change, resilience, inspiration, and teamwork. Change at sea can be brutal. But change also brings opportunity. It reminds us to look around, assess our situation, recalibrate. We can all recognise aspects of this in life, and in the workplace. 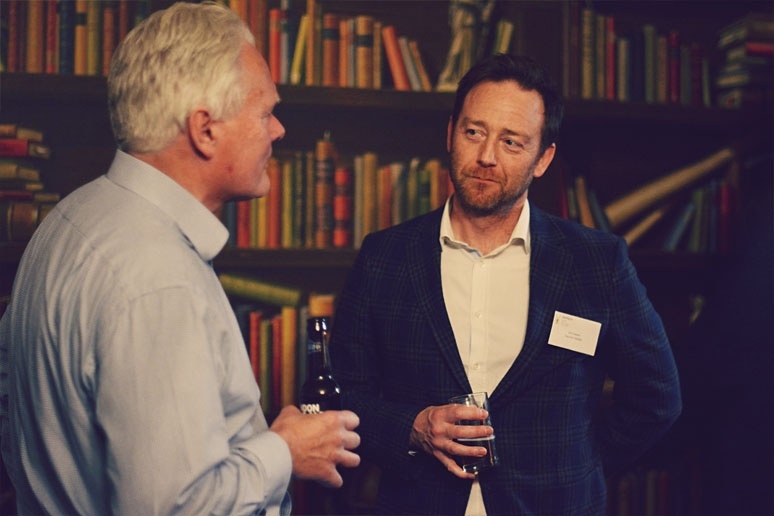 Cambridge HUG leader, Jeremy Knight, steered us swiftly back towards the digital landscape, and some of the greatest challenges in website redesign. Redesigning your website might feel like an attempt to traverse a mountain. Just like an expedition, website redesign requires a team of experts, a budget for resources and a carefully planned map of the journey. Fittingly, Jeremy used the analogy of Sir Edmund Hilary's 1953 attempt to conquer Mount Everest, to demonstrate the importance of responding to change. The traditional website design model is a minefield: upfront costs can be high; and they are often delivered late and over budget. You commit time and resources, at a large cost, to something that isn't set in stone and has had no trial. 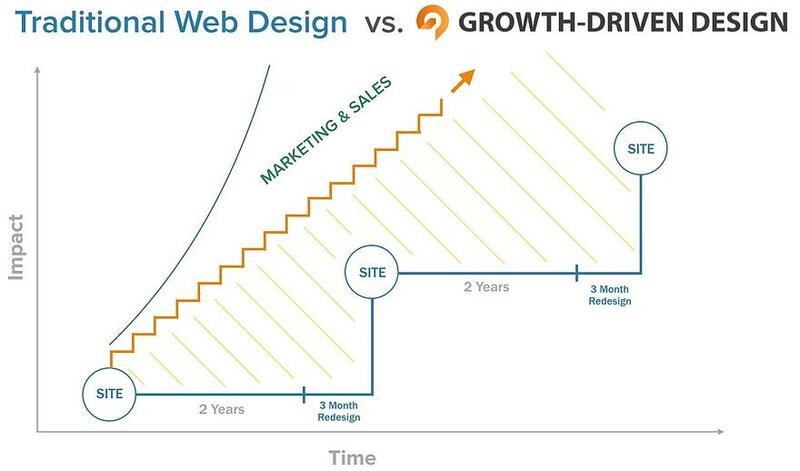 Growth-Driven Design (GDD) challenges this status quo. In contrast to traditional web design, GDD proposes a quick launch and continual improvement. This reduces upfront costs, banishes long timeframes and maximises results, through continuous learning about users and constant improvement. It is a smart approach that takes what we learn about our customers and shares it with other departments. Sir Hilary was forced to scrap plans he had spent months refining and change tactics completely - a savage storm swept over the team as they ascended Mount Everest. It must have felt incredibly unnatural, but it saved everybody's life. Following a flawed or outdated plan for the sake of procedure can lead to catastrophe. When the truth of your circumstance doesn't match what you outlined, it’s time for revision. Shorten time to launch, focus on data and the impact made by a change. Inform website improvements with continuous research, testing and ongoing learning about its visitors. Achieve peak performance through constant improvement. GDD is tightly integrated with marketing and sales. What is learnt about visitors to the site helps inform and improve the strategies employed by marketing and sales (and vice versa). Jeremy gave an in-depth and highly educational presentation on the GDD methodology. Success asks that you review and adjust along the way - nothing in marketing should be set in stone. A data-based approach enables you to navigate your design challenges with greater precision. The results are measurable; risks are minimised. The direction is clear. GDD promises peak performing websites - with less waste, in half the time, to schedule and on budget. I'm thoroughly looking forward to the next Cambridge Hubspot User Group meeting, which will take place on Thursday 2 February, 2017. Stay tuned for updates!